Glass became incredibly important material in the late 20th century. It could be argued that it marked the end of the Iron Age. After the Stone Age, Bronze Age, and Iron Age, comes glass, the centre piece of the Information / Space Age, an era that has only recently kicked off. In the same way the Iron advanced industrial and military capabilities, glass is a core material in this new age. It allows us to see new things, to better see ourselves, and enables us to share of ourselves in an immediate way. This material continues to shape our psychology and our future. Naturally occurring glass, especially the volcanic glass obsidian, was treasured by many societies back to the Stone Age in many geographies. This beautiful material can be shined smooth to be a mirror, or chipped with durable edges and for the production of sharp cutting tools. Obsidian is a limited resource found in only some localities, and soon was extensively traded. Archaeological evidence suggests that the first true glass was made in coastal north Syria, Mesopotamia or ancient Egypt. Advances in metalurgy and ceramics are evidence of human ability to make hotter fires. The wood fire has been part of the human tool arsenal for up to 2 million years. Its fire burns up 400 – 600°C. Charcoal, well drafted and focused, burns up to 1,390 °C. As kilns, furnaces and forges improved and heated up, it was increasingly possible to melt tin, copper, bronze, iron, aluminium, pottery, and glass. It could be argued that the classic fired brick used extensively by the Roman empire is a proto-form of glass, as sand is often part of its composition. Bricks are fired (“burned”) at 900–1000 °C to achieve strength. Pottery kilns heat to between 1100 °C for earthenware to 1400 °C for porcelain. glass, at approximately 1400 °C to 1600 °C depending on the composition of glass. 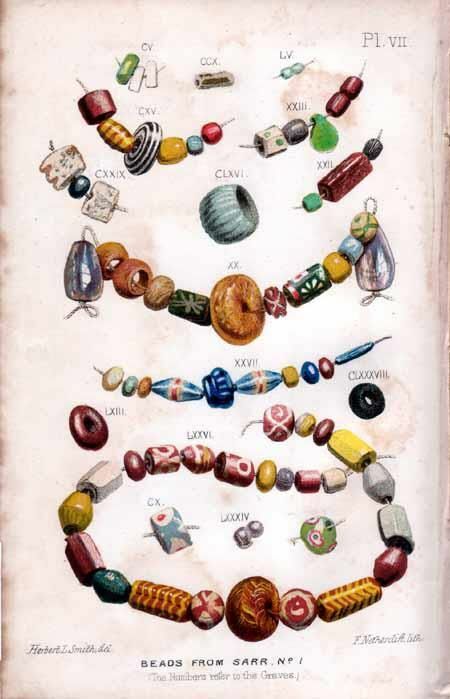 The earliest known man-made glass objects, of at least the mid third millennium BCE, were beads, perhaps initially created as accidental by-products of metal-working (slags) or during the production of faience, a pre-glass vitreous material made by a process similar to glazing. Glass beads, like all prehistoric beads made of stone like jasper and agate as well as amber are very difficult to be shaped, cut, polished and drilled, all by hand. The hours spent creating these beautiful objects made them treasured objects, an easy form of early currency. Bead qualities such as the rarity of the material, the difficulty of bead execution, the quality of the execution. Glass remained a luxury material, and the disasters that overtook Late Bronze Age civilizations seem to have brought glass-making to a halt. It was primarily used for decorative pieces. Blown glass was again picked up in Hellenic period and was later used by Romans as crockery and broad sheet panes. Glass blowing is indicated as having begun during the Roman era, and is present in Jeruselum in the first century. From the late 3rd century onwards window glass was made by the muff process, where a blown cylinder was cut laterally and flattened out to produce a sheet. Glass for stained windows is seen in Euope in 7th century Anglo-Saxon culture and may be the first use of stained glass. The venerable monk Bede wrote about St Paul’s monastery and church at Jarrow that in 675 Abbot Biscop went abroad to Francia (what is now France) to find glaziers to fill the windows of his new church, St Peter’s, which he had founded the previous year. A cylinder of glass was blown then cut into a sheet that was cooled on an iron plate. Broad sheet glass is poor quality, with many imperfections and mostly translucent, and was most often cut into panes and placed into leadlight windows, a type of stained glass without coloured glass. This glass is primarily for art work and vessels. Glass is blown nto a hollow iron tube. This was then transferred from the blowpipe to a punty (a steel rod) and then flattened by reheating and spinning out the bowl-shaped piece of glass (bullion) into a flat disk by centrifugal force, up to 5 or 6 feet (1.5 to 1.8 metres) in diameter. These two glass types were used until the 19th and 20th centuries. The Venetian Angelo Barovier is credited with first adding magnesium and potassium oxide to molten glass to produce truly clear glass in the 13th century. Certainly this improved the quality of sheet glass produced as above. but more importantly produced glass that could be seen through. With glass curvature, it was possible to see objects magnified. This led to the development of corrective lenses, to the microscope, and the telescope. These tools enabled advancements in science and understanding. Corrective eye-wear was begun by monks pouring over and copying manuscripts. This fashion expanded as students and scholars filled the first European universities. The idea that such lenses could improve sight, and thereby better knowledge and understanding of the world is integral to modern culture. Astronomy had its revolutions with Nicolaus Copernicus, Galileo Galilei and Johannes Kepler. With the telescope and discovery of four moons of Jupiter, Galileo confirmed the heliocentric system, demoting Earth from the universe center to an orbiting planet, among others, which in turn may have moons. Compound microscopes feature two or more lenses, connected by a hollow cylinder (tube). The top lens, the one people look through, is called the eyepiece. The bottom lens is known as the objective lens. So today, when we say “microscope,” we really mean “compound microscope”. Anton van Leeuwenhoek is credited as one of the earliest developers of the microscope, but the discoveries were most famously captured by Robert Hook in his book Micrographia (1665). His diagrams first spell out cellular structures in plants, leading the way toward microbiology and advances in medicine. Although reflections in water and smooth obsidian have been part of human culture for millenia, the modern looking-glass with plate glass was developed in the 1500s by Venetian glassmakers on the island of Murano. They covered the back of the glass with a mercury-tin amalgam, obtaining near-perfect and undistorted reflection. Mirrors became household items in the Renaissance. Steven Johnson discusses the impact of the mirror in his book How We Got to Now, how the changing psychology of this era partly fueled by this ability of humans to be able to see themselves clearly, which feeds into the growing interest in the individual, be it human rights or literature. 1843: An early form of “float glass” invented by British steel industrialist/inventer Henry Bessemer, pouring glass onto liquid tin. Expensive and not a commercial success. 1874: Tempered glass is developed by Francois Barthelemy Alfred Royer de la Bastie (1830–1901) of Paris, by quenching almost molten glass in a heated bath of oil or grease. Machine-rolled glass is introduced in 1888. In the Single Roll Method, molten glass is poured onto a metal table and a single metal roll is used to flatten it into a sheet. Sometimes called “hand cast” sheet glass. In the double Roll Method, molten glass is passed between a pair of rotating metal rolls to form the sheet. The down side with machine rolled glass is the distortion from flaws on the surfaces it is rolled on. Vertical Draw Method is where molten glass is pulled up vertically through a slit in a large one-piece refractory block that is floating on the glass surface. The annealing lehr is mounted vertically over the draw chamber. Drawn glass is generally more pristine than rolled glass because its surface has remained untouched during forming. Float glass is first launched in the UK in 1959. It was Sir Alastair Pilkington. who perfected the method. Molten glass is pulled from the forehearth atop a bath of molten tin. The process produces a perfectly smooth sheet of uniform thickness in high volume. The float process is used to produce virtually all common window glass and plate glass today, thus the term “float glass.” This became the basis for all modern glass. These have increased the use of glass as a building material and resulted in new applications of glass. Larger, clearer, stronger, thermally enabled building glass became common in a new constructions. The largest such panes are seen in shopping centres and store front, a view into the offerings within. Some ballistic laminated incorporates a polycarbonate layer as an internal core to reduce the weight of the product. Bear in mind glass weighs 2.6 kg per 1mm of thickness over a square metre. Therefore the average shopfront glass of 3m x 3m say 10.8mm thick will weigh 252.72KG, over a quarter of a tonne. The greenhouse brings the possibility of having a controlled environment in which plants can be grown, without the outdoor restrictions such as temperature, wind, and moisture. Multi-storey buildings are more frequently constructed with curtain walls |(an outer covering of a building in which the outer walls are non-structural) made almost entirely of glass. When glass is used as the curtain wall, a great advantage is that natural light can penetrate deeper within the building. Float glass became the bed rock of glass manufacturing worldwide and the process is still the one used today. Since then the manufacturing of laminated glass has developed. This is as it sounds, literally bonding two or more sheets of glass together to create either safety, security, bullet and blast resistant, or acoustic glazing. This is available in thicknesses ranging from 4.4mm right up to50mm +. Glass block made its debut in the 1930s and quickly found its place in many commercial, industrial, and residential applications. The glass block was originally developed to provide natural light in manufacturing plants. Early electronic components, diodes and triodes were housed in vacuum glass tubes. The evacuated tube allows for more precise control of electric current between electrodes. Its most common usage is in lighting and diodes. The use of artificial light has been another a significant step glass provides in giving humans control over their environment. As much as telescopes allow us to see into the past vastness of space, and microscopes open the way to a cellular, structural understanding, the advances of glass-housed lighting have given sight to the many naturally dark corners. Florescent tubes is a partial vacuum and a small amount of mercury. An electric discharge in the tube causes the mercury atoms to emit mostly ultraviolet light. The tube is lined with a coating of a fluorescent material, called the phosphor, which absorbs the ultraviolet and re-emits visible light. The incandescent bulbs produce light by a filament heated white-hot by electric current, protected from oxidation with a glass or quartz bulb that is filled with inert gas or evacuated. Thomas Edison may not have invented the bulb or first harnessed electricity, but Edison’s success is his development of an entire, integrated system of electric lighting. With the use of electrical power, the florescent and the incandescent light bulbs gave a purpose for distributing electricity to the population. This single factor changed the way humans could interact with their environment, no longer limited by the need for natural light to see. The electrical grid has become the backbone to society, with lighting, refrigeration & home entertainment quickly becoming an essential service for modern life. A diode is a two-terminal electronic component first built into a glass vacuum tube, which conducts primarily in one direction (asymmetric conductance). The terminals, called anode and cathode do not relate to the voltage polarity of those electrodes but the direction of the current: whether positive charge is flowing into or out of the device. Conventional current flow, in most cases, has positive charge leaving the device via the cathode, and positive charge flowing into the device via the anode. The standard diode is commonly used for conversion of AC (alternating current) using in electrical transmission to DC (direct current) the preferred electricity for circuitry. A triode is a glass vacuum tube consisting of three terminal electrodes inside an evacuated glass envelope: a heated filament or cathode, a grid, and a plate (anode). Triodes were used in electronic amplification for radio and telephony, widely used in consumer electronics such as radios, televisions, and audio systems until it was replaced in the 1960s by the transistor. This compound of silicon and carbon is also known as carborundum. It was first made in 1890 and initially used as an abrasive. It is bonded to be a very hard ceramics and used in applications requiring high endurance, such as car brakes, car clutches and ceramic plates in bulletproof vests. With Silicon carbide, Henry Joseph Round, personal assistant to Guglielmo Marconi, was the first to report electroluminescence from a solid state diode using a crystal of silicon carbide and a cat’s-whisker detector, a thin wire that lightly touches the crystal to produce light. This lead to the development of the light-emitting diode. The LED lighting has revolutionized home lighting, by only requiring a fraction of the electricity and cost of incandescent lighting. A laser diode is an electrically pumped semiconductor laser in which the active laser medium is formed by a positive-negative junction of a semiconductor diode similar to that found in a light-emitting diode. The laser diode is the most common type of laser produced with a wide range of uses that include fiber optic communications, barcode readers, laser pointers, CD/DVD/Blu-ray Disc reading and recording, laser printing, laser scanning and laser surgery. Crystalline silicon (c-Si), the crystalline forms of silicon, is the dominant semiconducting material. It is cut into think wafers and used in photo voltaic technology for the production of solar cells and integrated circuitry. Integrated circuitry is primarily a collection of transistors, also known as chips. A modern chip may have several billion transistors in an area the size of a human fingernail. The impact of integrated circuitry in computers, phones, and cars has already been at the center of a societal transformation. Solar power with photo voltaics is only now accounting for a portion of the world’s energy use, and will likely become increasingly dominant as a source of renewable energy. Wafers are formed of highly pure (99.9999999% purity), nearly defect-free single crystalline material. One process for forming crystalline wafers is known as Czochralski growth. A fiber-optic cable is made up of incredibly thin strands of glass or plastic known as optical fibers used for computer networking, telephone systems, and medical applications such as endoscopy. One cable can have as few as two strands or as many as several hundred. Each strand is less than a tenth as thick as a human hair and can carry something like 25,000 telephone calls, so an entire fiber-optic cable can easily carry several million calls. Fiber-optic cables carry information between two places using entirely optical (light-based) technology. Because glass does not conduct electricity, fiber optics is not subject to electromagnetic interference. It also is much more difficult to splice into, so using a data sniffer to steal network data is nearly impossible. Information travels roughly 10 times further before it needs amplifying—which makes fiber networks simpler and cheaper to operate and maintain. Signal loss (attenuation) is minimized, making it possible to have larger distances covered wtihout signal boosters. Fiber-optic cables can carry far more data than copper cables of the same diameter. In 2012 a research group at the Technical University of Denmark managed 43 terabits per second over a single optical fiber with just one laser transmitter. In a more user-friendly unit, 43Tbps is equivalent to a transfer rate of 5,375 gigabytes per second. 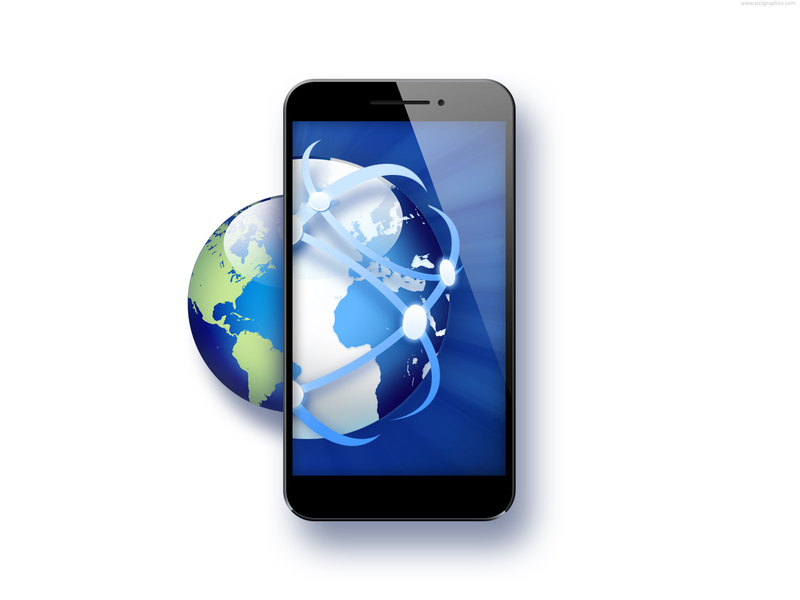 Between gorilla glass and silicon wafer of smart phones, the old Cathode ray tube monitors for computers and today’s optical fiber networks with optical laser repeaters, glass has played an central role into today’s information revolution. Some say that spacecraft have no need of windows or portholes, for much the same reason as a submarine or even a modern warship. (*) Windows represent structural weakness, and there really isn’t much to see in any event. Unless the spacecraft is orbiting a planet or docking with another ship, the only thing visible is the depths of space and the eye-searing sun. And unlike submarines, windows on a spacecraft also can let in deadly radiation. That said, the space viewport is part of the spacecrafts being built. The CM had five windows. The two side windows measured 13 inches (330 mm) square next to the left and right-hand couches. Two forward-facing triangular rendezvous windows measured 8 by 13 inches (200 by 330 millimetres), used to aid in rendezvous and docking with the LM. The circular hatch window was 10 5/8 in. diameter (27 cm) and was directly over the center couch. Each window assembly consisted of three thick panes of glass. The inner two panes are made of aluminosilicate and make up part of the module’s pressure vessel. The fused silica outer pane served as both a debris shield and as part of the heat shield. Each pane has an anti-reflective coating and a blue-red reflective coating on the inner surface. Soyuz is is a series of spacecraft designed for the Soviet space programme in the 1960s that remains in service today. On the latest Soyuz versions (since Soyuz TM), a small window was introduced, providing the crew with a forward view. The space shuttle had 9 cockpit triple-paned, optical-quality fused silica windows. There are six thermal panes in the windshield, two in the overhead windows (observation windows) and one in the side hatch. The outer pane, also called the thermal pane, is a .6 inch thick plate of fused silica glass, approximately 35″ x 45″. The outer panes of the windshield serve as a critical part of the thermal protection system, keeping the high heat of reentry away from the manned compartment of the vehicle. The inner panes form part of the pressure vessel where the crew lives. In more than sixty missions over the fourteen years, space shuttle windows have had a few encounters with on-orbit particulates (space debris and micrometeoroids). In that time, 177 impact features (chips) were found on the STS outer windows (through STS-65). Forty-five of the damages were large enough to warrant replacement of the window. The Cupola is an ESA’s contribution to the space station assembly. It is a spectacular technological, robotised control room with seven windows, which will allow the astronauts to see 360° around the International Space Station. It is a flight control center for the ISS during spacewalks, spacecraft maneuvers or work requiring the station’s robotic arm. It was launched aboard Space Shuttle mission STS-130 in 2010. The Cupola is 6.5 feet wide (2 meters) , 4,9 feet high (1.5 meters) and with a diameter of 9,7 feet (3 meters). The dome-like Cupola is forged from a single 1.8-ton chunk of aluminum with slots for six trapezoid-shaped windows and one large circular view port that is the largest window to fly in space. It has external shutters for each window, which – clamp over the view ports to protect the glass from micrometeorite impacts and solar radiation. They can be opened by the crew inside the Cupola with the simple turn of a wrist. Each window has three subsections: an inner scratch pane to protect the so-called pressure panes from accidental damage from inside the Cupola; two 25 mm-thick pressure panes to help maintain the cabin pressure and environment (the outer pane is a back-up for the inner pane); and a debris pane on the outside to protect the pressure panes from space debris when the Cupola shutters are open. Beyond the seven windows in the cupola, the International Space Station has the Lab nadir window (WORF – window observation research facility), the window in the Japanese Kibo module, thirteen windows in Zvezda, the Russian Service Module. In the past, crewed spacecraft ranging from the Apollo capsules to the Shuttle and the International Space Station have used quartz glass in windows. The craft’s structural integrity was ensured by a multiple panes of glass that could not only withstand high temperatures and pressures but also do so without cracking. All is set to change with NASA’s Orion spacecraft and it’s six windows made of an acrylic plastic material that is stronger than glass, but has similar optical properties. It’s the same material commonly used in aquariums ranging from small home tanks to giant public displays. These not only handle the constant pressure of thousands of gallons of water, but also touches by the public numbering in the millions. Glass continues to be a central material shaping our world. The magical appeal of crystals and obsidian continues to pull us in to screens and windows into the worlds around us, mirrors, virtual and real that attempt to show each of us in these worlds. Putting glass in window frames creates an improved method to isolate two sides of the glass. One side of the glass envelopes, protects and isolates, while the other allows you to see through, to see another environment. Aquariums and space portals separate two different environments; telescopes allows view into our distant past, the microscope helps us understand the building blocks of life, cameras capture and make views scientific, creative or mundate available to anyone. We have glass screens, corrective vision and building windows in front of nearly the entire human population. Humans are working towards improved artificial intelligence which will certainly improve the interactive aspect of the advanced capabilities of glass. The central role of glass will have a pivitol role in the development and future of humans. We`ve only really begun to see its impact on us personally, and on civilization. It`s worth keeping an eye on it.